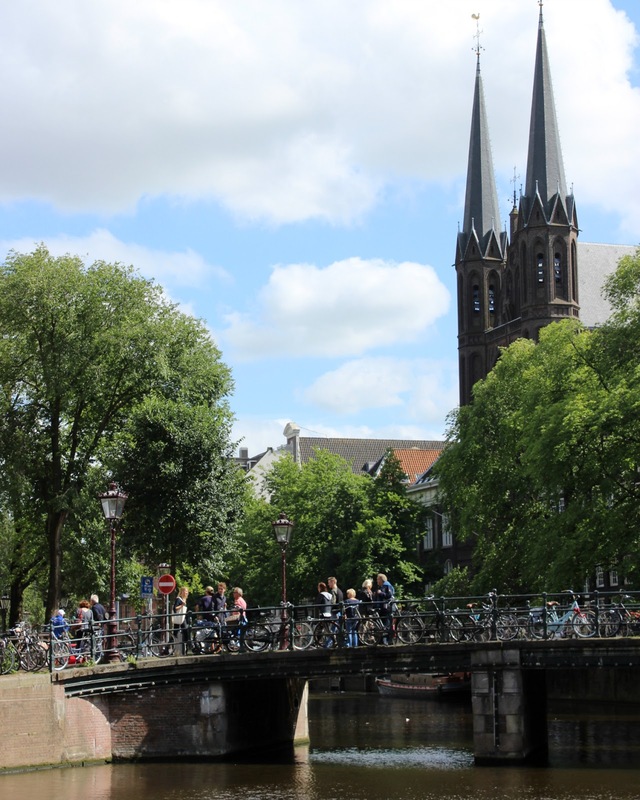 When I went Interrailing last November, Amsterdam was one of the first places I intended to go. It'd been on my bucket list since I was 15 and I was so excited to finally see it! But it didn't happen as we'd ran out of money before Copenhagen and had to fly home from there. I was devastated! I took a gap year for a reason, to travel and be free for a whole year. I saved my pennies, grabbed a few pals and booked a total bargain of a city break (£75 for the whole trip, but another post on that later). Amsterdam is definitely all it's made out to be. Idyllic canals around every corner you turn, I'm so sure my friends got bored of my posing in front of my favourite ones. Bicycles don't just decorate the streets and canalsides, they transport the coolest people- hipsters and businessmen alike- and you don't want to stand in their bike lanes. Our first day in this gorgeous city is pictured above, simply exploring and hunting for delicious food. 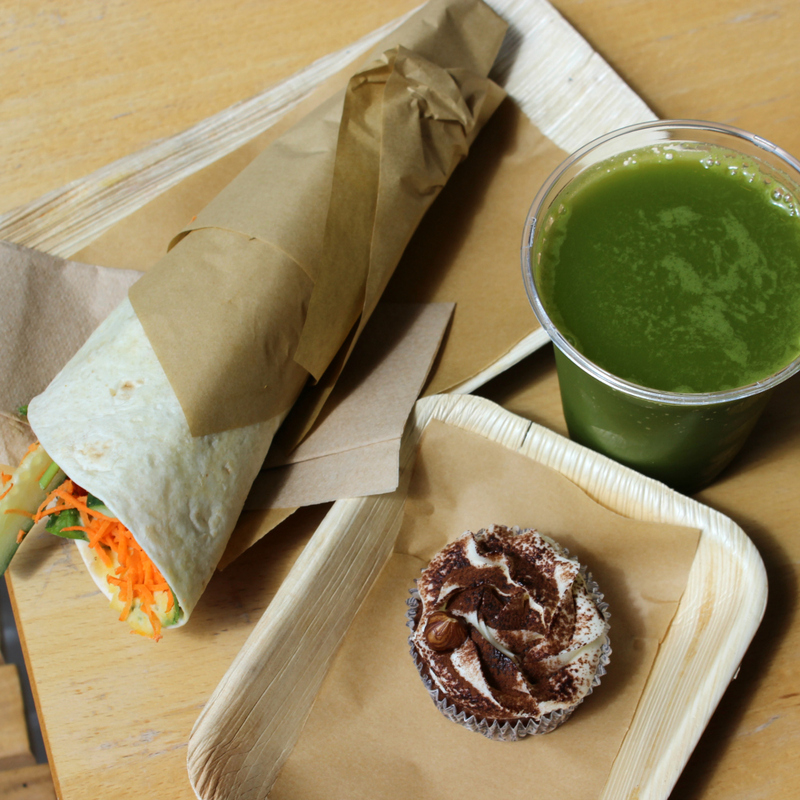 The wrap, cupcake and green juice you see was 100% vegan and 200% delicious. If you're a vegan heading to Amsterdam I seriously recommend that you visit Vegabond for a snack or a little stock up on vegan munch. Delish. 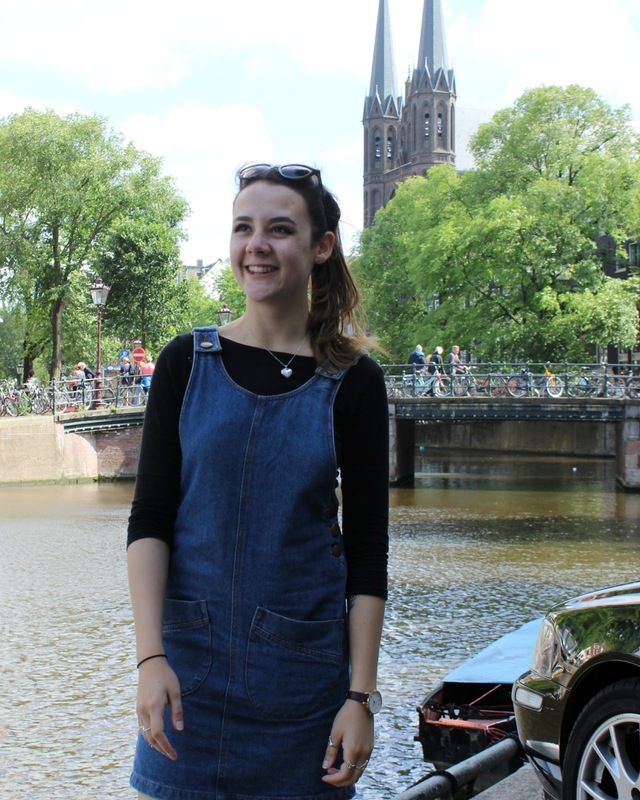 Day two of Amsterdam was my birthday! Expect an incredibly self-centred post on that soon.